Edmonton’s 42nd DemoCamp took place last night at the Centennial Centre for Interdisciplinary Sciences (CCIS) on the University of Alberta campus. You can see my recap of DemoCamp Edmonton 41 here. The first demo of the evening was from the team at Gabbi. Sherman and Bryan showed us the app which helps real estate agents organize their messages and collaborate with their team. Like the rest of us, real estate agents are always on their phones and Gabbi can help them respond to messages, transfer conversations between agents, and more. Building on top of that foundation is an AI assistant, to “get the agents to the next level.” Gabbi uses Microsoft’s LUIS behind-the-scenes for understanding intent. Essentially, they’re building an AI-assisted CRM for real estate agents. Neat! Next up was Permit Tool, which is a Microsoft Power BI-based data crunching tool that can help you visualize and understand development permits in the City of Edmonton. Brandon wanted to build the tool to help him apply for a job in the commercial real estate industry, and once he found the data available in the Open Data Catalogue, he was off and running. “There’s so much interesting information that we didn’t even know existed!” During the demo, Brandon used the tool to filter for people that had applied for permits to build hot tubs. “Go make friends with these people,” he joked. In addition to being a useful tool, his approach worked: he got the job! Our third demo was from the team at What’s The Deal?, a web app that tells you about happy hour deals nearby. The site lets you view deals by day, or you can use the search feature to filter by characteristics like whether or not there’s a patio or free Wi-Fi. The website is built on WordPress but is really more of a proof-of-concept; they’re planning to launch a native mobile application next month. Currently the team manually curates all the data, but they hope to have restaurants take on that role themselves in the future. Next up was Brendan who shared yegsecrets.ca. He got the idea for the site after participating in a Reddit discussion about the hidden gems in our city. “It really bugs me when people say Edmonton is boring or ugly or Deadmonton!” The site is basically a big map full of pins that represent interesting locations. You can click on a pin to see a brief description and photos of the location. There are no plans to add businesses to the site, because there’s already a lot of places to find those. The idea is to showcase great views, inspiring art, that sort of thing. Brendan, who took part in Startup Edmonton’s Summer Student Program, has seeded the locations based on input from others, and there is a suggest feature if you know of a hidden gem. Our fifth demo was from Dean who showed off Forkdrop.io, which is an information and educational resource for Bitcoin holders. And specifically, forks or projects that give value to holders of Bitcoin in the form of newly created coins. The site contains a giant table with the latest information on all of the different projects, but also features in-depth guides for people to follow. Since launching the site has attracted about 28,000 users and has received a bunch of press in the Bitcoin industry. It’s all open source too. The final demo of the evening was from Dana who showed us Tadum.app, a new app that helps you have more effective meetings. The name “Tadum” works two ways: it sounds like the noise a to-do list might make when you complete a task, and it’s an acronym for the key features of the app: To-Dos, Actions, Discussions, Updates, and Metrics. Dana said his experience has shown that the best meetings follow a routine, have a structure, and have forced accountability, so those are all aspects of the way Tadum works. It will work best if you buy into the process. Dana and the team have focused on ensuring the agenda experience is great, but have plans to add integrations in the future. All of the demos went fairly smoothly! As an Edmonton fan myself, I love the spirit of yegsecrets.ca, and as someone who has had my share of bad meetings, I’m intrigued by what Tadum offers. And yes, I’m always interested to see how others are using open data, so I found Permit Tool pretty cool as well. You can now pre-order Nathan Youngman’s new book, Get Programming with Go. He had a couple of signed copies to show off last night. Congratulations Nathan! 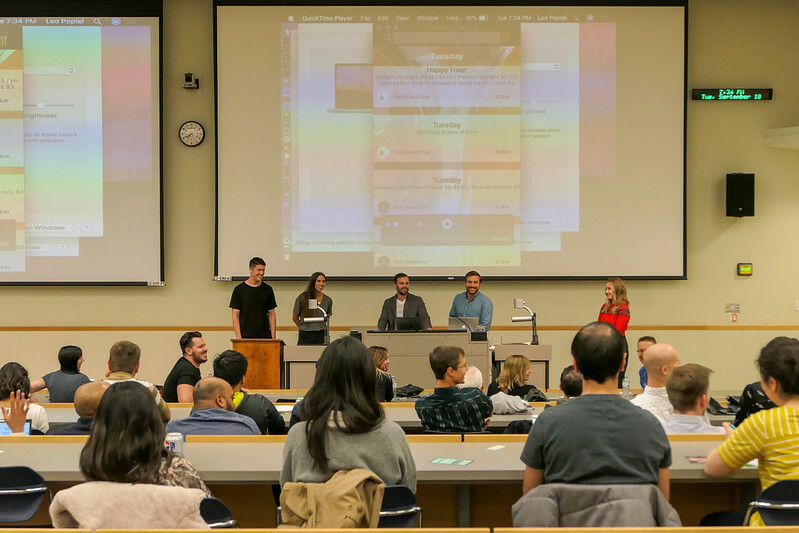 Preflight is Startup Edmonton’s flagship program and it helps entrepreneurs “reach a global market, harness your ambition, and structure your business to grow right from the start.” New sessions are starting in October and November. Edmonton Startup Week takes place October 15-19. Launch Party Edmonton 9 will take place on October 18. 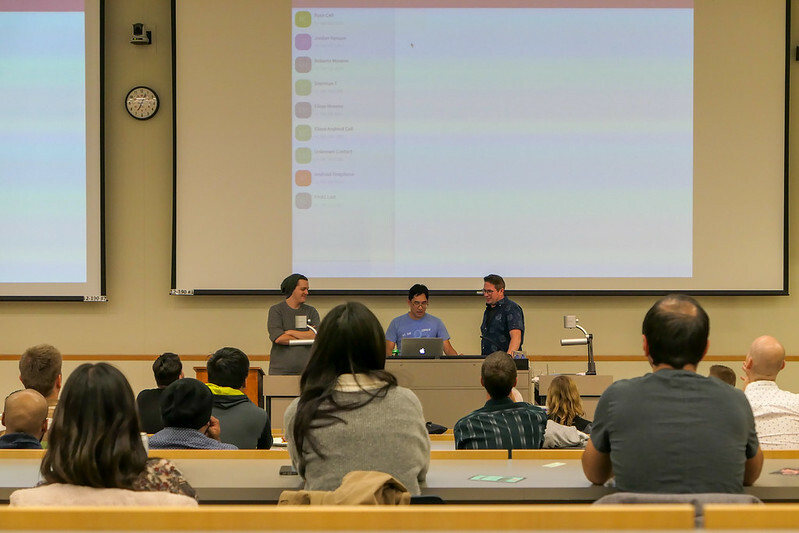 If you’re a student, be sure to check out the free Student Membership from Startup Edmonton. Save the date for the Student Development Conference, taking place March 23, 2019 at the Shaw Conference Centre. See you at DemoCamp Edmonton 43!